Today at an event at their headquarters in Palo Alto, CA, Facebook unveiled their new Places product — their location/check-in solution. Obviously, their entry in this space has been rumored for a long time — a very long time. But during the Q&A session, someone asked how long Facebook has actually been working on this Places product. Since December, one of the engineers in charge of the product replied. But he also revealed that there have been other “skunkworks” projects internally at Facebook surrounding location long before that. The past 8 months have just been specifically focused on what is now called Places. CEO Mark Zuckerberg stepped in to say that Facebook was focused on the question of “what is a good set of features and a good product?” He noted that they wanted to make sure they were building something different than what everyone else already had built. 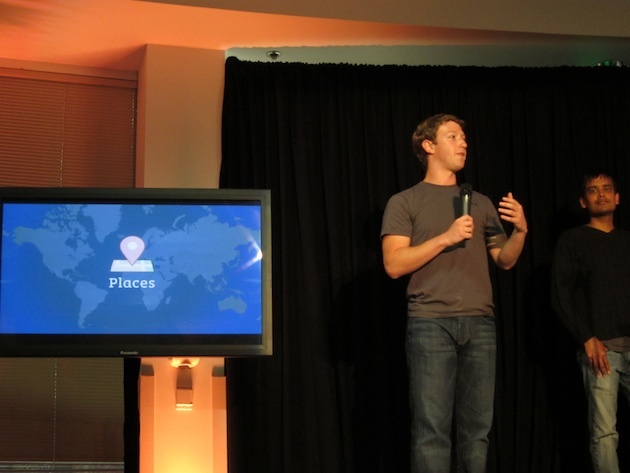 Zuckerberg specifically called out the tagging aspect of the product as being unique. With Places, you can actually tag friends when you check-in. 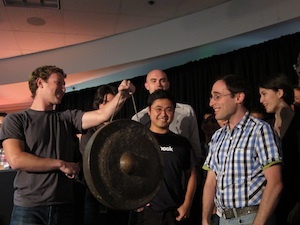 “There was so much to do before we launched this,” Zuckerberg said with a smile on his face. He said that what they’re focusing on at launch is a solid core. The three main things they’re focusing on is helping people share where they are, helping people see who is around them, and helping people seeing what’s going on. The basics. Spotted: Facebook Location In Action. Meet Facebook Places!